Are you someone who is highly sensitive to other peoples energy? Do you often feel that your energy has been drained and get over emotional at things that are not directly affecting you? 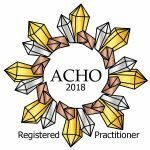 Are you a healer and light worker? If you have responded ‘yes’ to any of these questions then this workshop is for you. Ground, protect and reconnect is a one-day crystal workshop which provides you the techniques to ground and protect yourself. The practice of grounding, protecting and reconnecting is a practice that I recommend is carried out on a daily basis, especially for those doing any kind of spiritual work. 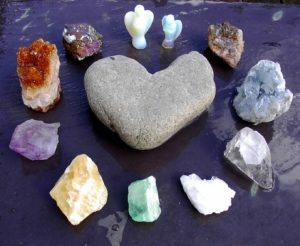 In this workshop, you will learn how to take care of your crystals, sense crystals, meditate, and how to ground and protect yourself with crystals. After this workshop, you will be able to shield your aura from leaks and holes as well as reconnect yourself to our beautiful Mother Earth and your own natural rhythm. The daily practice of your new techniques will help improve your concentration, general well being and keep you grounded to the healing vibration of Mother Earth and strengthen your aura. You will also be able to practice Earth healing to give our thanks and gratitude to her. This workshop takes place at my home and you will be held in a safe environment with like-minded people whilst having plenty of fun and lots of laughter. The Ground, Protect and Reconnect workshops take place at my home in south west London. Cost: £80:00 per person. A non-refundable deposit of £25.00 is required to secure your space.